Louis Daniel West, 92, of Concord, passed away peacefully at his home surrounded by family members on Wednesday, February 6, 2019. Louis was born in Spartanburg County, SC on December 31, 1926 to the late Vincent West and the late Nora Belle Thompson. Louis was raised by Winford and Ella West. Survivors include is loving wife, Mary E. West, of 53 years; sons Dan (Dianne) West of Canton, OH; Daniel (Becky) West of Mt. Gilead, NC; daughters Teresa (Randy) Smithers of Danville, VA; Angela (Robert) Vaughn of Mt. Pleasant, NC; nine grandchildren and four great-grandchildren. Louis truly lived his 92 years of life to the fullest. He was a World War II Veteran and served as a signal man in the U.S. Navy. He was an avid storyteller and was proud to tell stories from the war. He was known by many as "The Barrel Man" and started his business, West Drum Company, over 40 years ago. 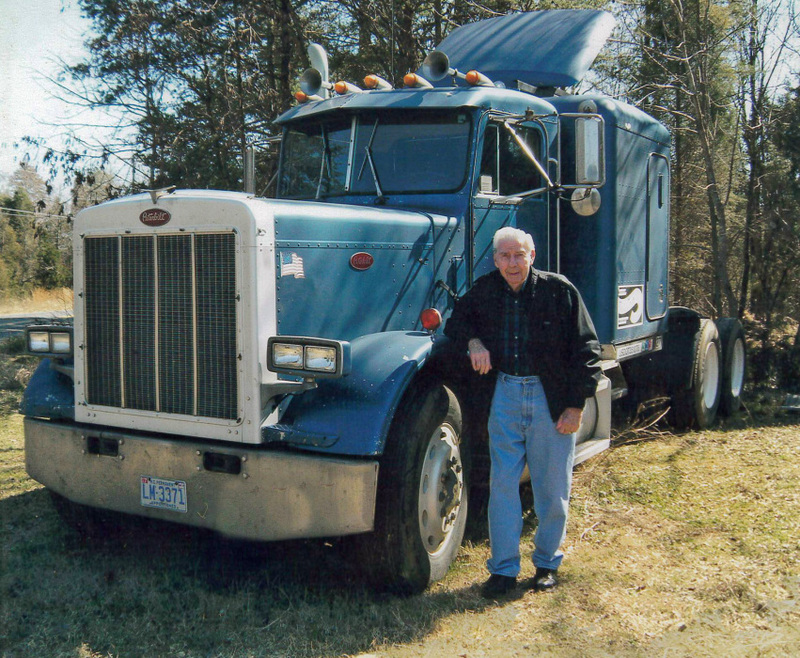 He loved driving his blue Peterbilt #27, vacationing with his family, telling jokes and old model cars. He was a member of Vision Baptist Church in Rockwell, NC. Louis never met a stranger and always made telling others about his Lord and Savior Jesus Christ a priority. He will be greatly missed by many and forever cherished by the ones who were fortunate to know him. The family would like to extend their gratitude to the hospice services of Atrium Health and his caregiver, Nora, for providing Louis with exceptional care. The family will receive friends from 5:00 pm - 7:00 pm, Tuesday, February 12, 2019 at Harvest Community Church in Concord. The funeral service will be on Wednesday at 1:00 pm at Harvest Community Church in Concord officiated by Pastor Matt Turbedsky. Burial will follow at the Carolina Memorial Park Kannapolis. Hartsell Funeral Home of Concord is serving the West family.